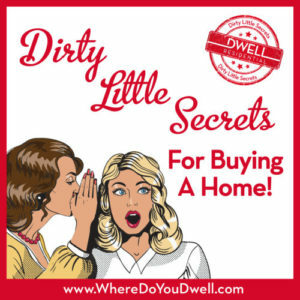 We are excited to bring you this series — Our Dirty Little Secrets for Buying a Home – featuring little-known tips and strategies that you can’t get anywhere else. We created these secrets based on helping hundreds of buyers over the years. We’ve tested everything that works and weeded out what doesn’t. It’s all here in one place for you! Buying a home can be confusing and even intimidating at times. That’s why it’s perfectly okay to find yourself outside of your comfort zone. Our goal with this series is to make you more comfortable and that starts with making you a more confident and knowledgeable homebuyer … with an insider’s edge. The eight articles in this series will uncover “the why’s, the how’s, and the must-do’s” of home buying. You’ll better understand yourself and the journey you’re about to take. So when the time comes, you’ll be fully prepared (and confident) to make an offer on a home. These topics are like the “back story” or a first glimpse of the “behind the scenes” of buying a home. They are a good overview about things you should think about and consider before you begin a serious search for a home. Everyone needs to prep themselves before embarking on something new, right? Go With the Flow of the Market: Just like riding a wave in the ocean, you’ve got to learn about that natural ebbs and flows of the market and what to expect when. Buying a home requires an understanding of not only the seasonal shifts in market activity but also the weekly flow of the market. You need to change tactics depending on the season and we’ll break it all down for you and tell you exactly when the tide is coming in. What NEVER to Do Before Buying a Home: Did you know that some normal — even harmless everyday activities — could hurt your chances of buying your dream home? We’ll tell you exactly how you can avoid common slip-ups that might take you out of the homeownership game. Red Flags to Avoid When Buying a Home: No home is perfect, but our list of hidden red flags could save you in the long run. You might be surprised by what to look out for before you make an offer. We’ll explain how to know the difference between a red flag and when to waive the white flag in surrender and move on to another, better home. 4 Little Known House Hunting Tips: Many buyers think looking at homes is much more fun than dealing with their mortgage company. And we agree! But even though you’ll feel like you’re house hunter on an episode of HGTV, it’s still time to be strategic. We’ll tell you about two little-known things you should do, and two things you shouldn’t do when house hunting. Our Buyers’ Most Frequent Questions Answered: The questions swirling around in your mind are likely the same ones that every buyer wants to ask too. You want to make sure you don’t do something wrong, right? Or, you might worry that you don’t know what you don’t know? We provide answers to some of the most common questions we get AND you’ll become better informed and more reassured. Is the “Paradox of Choice” Derailing Your Home Search: As a buyer you might find yourself “wanting to see everything” in your price range or needing to look at “just one more” house or condo? We use the secrets in this book every day with clients and can’t wait to share them with you! More is not always better! How to Buy a Home Even with Student Loan Debt: You’ll be surprised at how you can still buy a home despite having what feels like crushing amounts of student loan debt. There are even some great loan programs for people in certain industries, like doctors, that have ultra-high amounts of debt. “Can’t stop, won’t stop” is our motto when it comes to student loans being in the way of you becoming a homeowner. Buying a Home Is Like Falling in Love: We always say, buying a home is like finding a mate — you’ve got to know your must-haves and your deal breakers. And, did you know that sometimes you have to get your heart broken by losing out of a property before you can get serious about buying? Sometimes that “first breakup” makes you stronger and wiser. Here’s how you can make the most of your journey in finding a home you love … and will eventually buy. 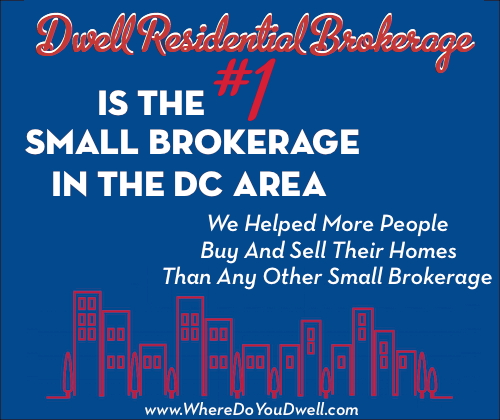 As always, feel free to contact us here at Dwell with any questions!